May their souls rest in peace, let their music play on! 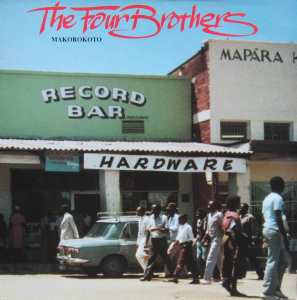 John Peel once described The Four Brothers as the best live band in the world, and chose one of their songs a one of his eight Desert Island Discs (UK readers will know what I mean)- quite an accolade from a man who had heard more records than most. 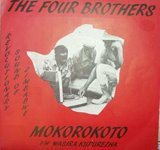 The Four Brothers were from Zimbabwe (they formed in 1977 when it was still Rhodesia), and their clean melodic Jit style put them at the forefront of the World Music boom in the 1980’s. This is the Cooking Vinyl ten track version, itself a reissue of an early 1980’s Zimbabwe release. The title Makorokoto was applied to expanded reissues of this LP and also to a best of collection.